And then a heron appears out of the wall. With a lamp in its beak. 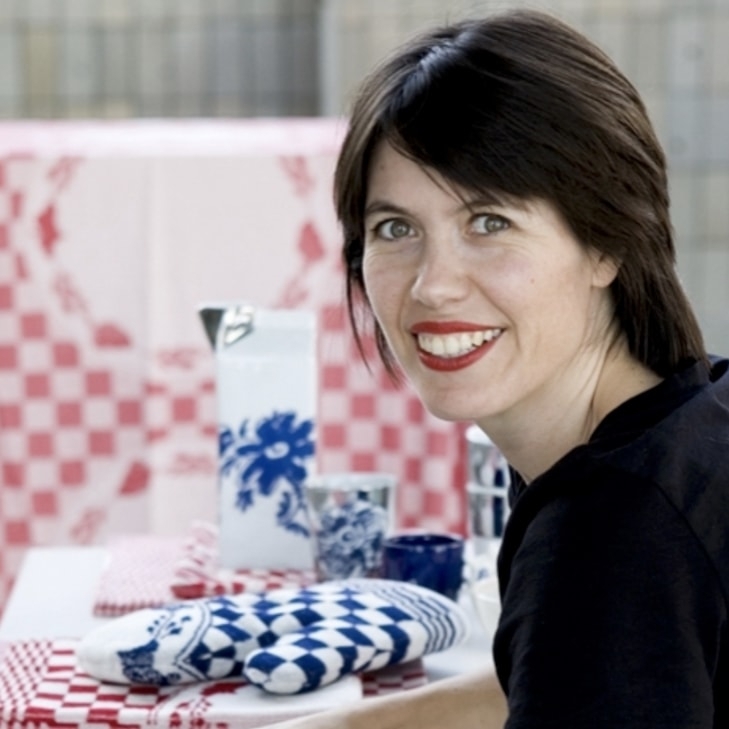 That's reality with Flying Dutchman lamp designed by Jasmin Djerzic. This designer wall lamp is almost half a meter high (48 cm), completely black and equipped with an atmospheric carbon filament lamp and a decorative plug/switch. Make space for your hero! It’s a piece of conversation: with this Flying Dutchman lamp to your wall, everyone who visits your home will notice it and ask about it. No surprise, a beautiful white heron on the wall with a lamp in its beak is far from commonplace. Where do you hang this lamp? The Flying Dutchman wall lamp is almost half a meter high and is made of black coated resin. The gold-coloured details of the special carbon filament lamp provide a touch of luxury. 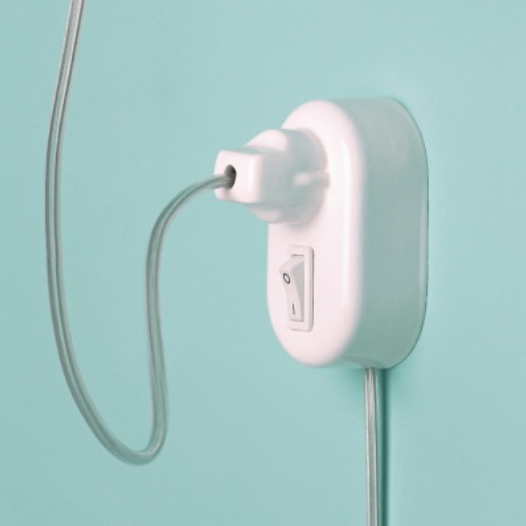 This wall lamp comes complete with a decorative retro plug/switch in one, a cord of 2,5 meters from the switch to the wall outlet and 1,5 meters form to switch to the lamp. Do you prefer a white Heron Lamp? 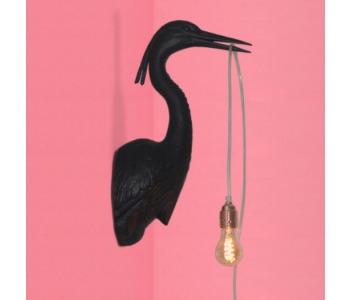 This black Flying Dutchman Heron lamp is not available in stock but will be delivered within 4 weeks. Its white sister is in stock though!